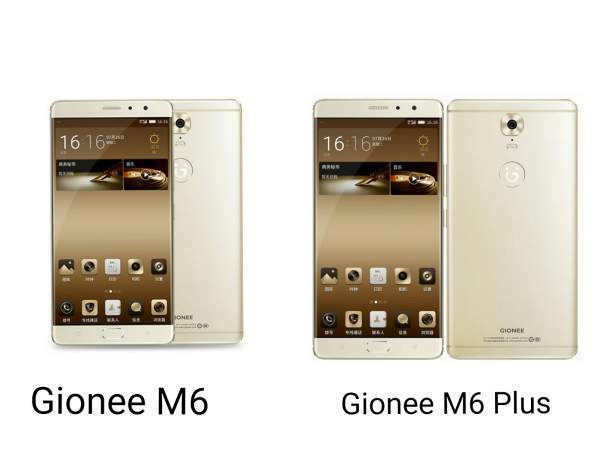 Gionee has already launched the new generation M devices in China and is about to launch in India very soon. Both the M series devices have touted as the safest Android smartphones when it comes to the privacy of the users. Both the phones offers the extra hardware security over the usual fingerprint sensor. Both the devices offer 10 layers of protection for your personal data.The series of smartphones are the first to secure the customer privacy with integrated security measures. An encrypted chip will be used to secure personal data on the device in the Chinese version of the device. Over the specifications, M6 comes with a uni-body aluminum design along with a 2.5D glass. It features a 5.5 inch full HD AMOLED display, and Gionee is powering the device by a 64-bit 1.8 GHz octa-core MediaTek MT6755 CPU processor coupled with a 4 GB of RAM. The internal memory of the device is 32GB, 64 GB, 128 GB variant which is not expandable. M 6 is powered by a 5,000 mAh battery. There is a 13-megapixels camera on the back with a dual-LED flash and a fingerprint reader and an 8-megapixels camera on the front. The device supports reverse charging; that means they work like battery packs and also charge other devices. M6 Plus features a 6 inch full HD AMOLED display with 1080p and Gionee is powering the device by a slightly fast 64-bit 2 GHz octa-core MediaTek MT6755 CPU processor which is faster than M 6. It comes with 4GB of RAM, and the internal memory of the device is 64 GB. Like M6, there is a 13-megapixels camera on the back with a dual-LED flash and a fingerprint reader and an 8-megapixels camera on the front. M 6 is powered by a 6,020 mAh battery which is pretty huge. This device also supports reverse charging; that means they work like battery packs and also charge other devices. It runs Android 6.0 Marshmallow out of the box. Kindly note that neither of the M series smartphones has a 3.5mm audio jack which is kind of interesting to know. The phones are available in Gold and Latte Gold color in China. The devices are about to hit the market in the month of August. The expected price of the 64 GB M 6 is about Rs. 27,000 and for 128 GB, it is about 29,500. The expected price of the M6Plus is not sure, but it will hit the market with a price tag of about Rs. 32,000. When will it hit the Indian market?